Though spiders are not known to be typically dangerous or poisonous, there’s actually something creepy and scary about their appearance. This fact does not yet occur to the minds of a lot of people, just because the common ones we see from time to time no longer scare us. However, there are several other species of spiders I bet you never knew are existent in Africa, not to talk of setting your eyes on them. If you get scared so easily, you may not border to look at these creatures in the first place because I bet you, they look so hideous! Just pray that none of them confronts your real life view any day of your life or you’ll be scared out of your wits. 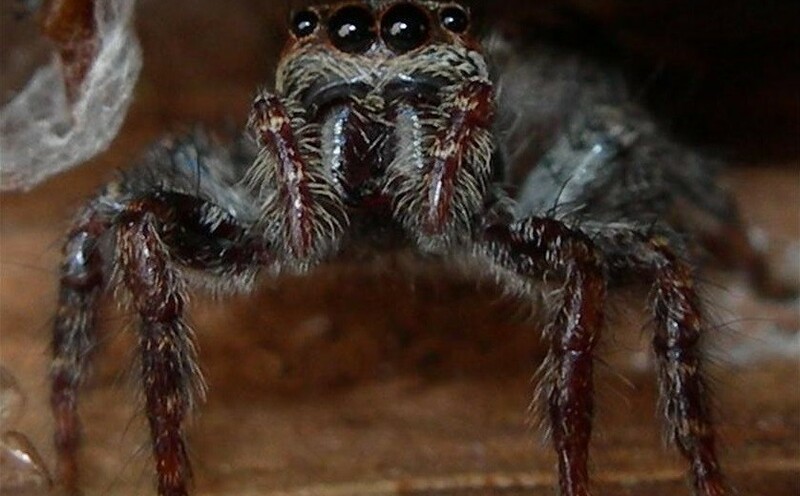 We’ve got here, the 17 most petrifying spiders existing in the African continent. The list is not done following any order, just feed your eyes with the images of these most “handsome and friendly-looking” creatures capable of frightening the living daylights out of you! If a spider with these terrorizing looks should confront you right inside your bedroom, I bet you’ll develop goose pimples in seconds! Harpactirinae (commonly called baboon spiders) are a subfamily of tarantulas which are native to the continent of Africa. Be careful because like many tarantulas, they have a strong venom, and can inflict a painful bite; but don’t be over scared, most baboon spiders are not considered dangerous to humans. I’m sure you’ve never set your eyes on this kind of spider before. The Scorpion Tailed Spider body is various shades of brown but most commonly fawn, with a black tip on the end of the abdomen. The female has long tail that can be curled over the body, making it look a bit like a scorpion. She spins a small orb web in shrubbery. 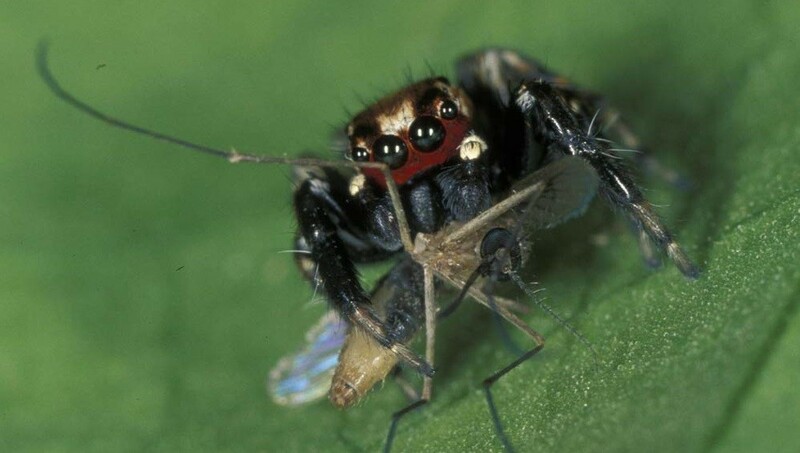 The male is smaller and has no tail, and may be found on the edge of the web. You can find this spider in Africa’s wonder Island, Madagascar. Eerie, huh? Deinopidae are stick-like elongated spiders that build unusual webs that they suspend between the front legs.They are also called net-casting spiders. This is because of the way they trap their prey: when a prey approaches, the spider will stretch the net to two or three times its relaxed size and propel itself onto the prey, entangling it in the web. With the looks, you need not be told it’s ready for a fight. Found in the deserts of southern Africa, the six-eyed sand spider has legs that can reach up to four inches in length. 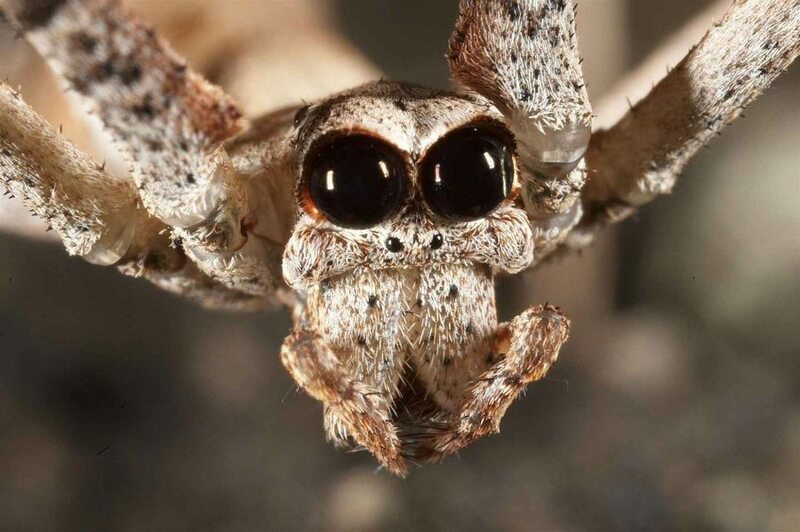 Sometimes it’s called the six-eyed crab spider due to its low, flattened stance. Though the species rarely bite humans, experiments have shown that its venom is toxic enough to kill a rabbit within a few hours. The genus name Sicarius is Latin for ‘murderer’, from sica, a curved dagger, so it’s better you steer clear! This is damn horror striking and can actually make your hairs stand on end at first sight! Also known as vampire spiders because of their unusual taste for human blood, they feed mainly on the female anopheles mosquitoes, the ones that feed on human blood and also carry the malaria parasite. Strange enough, they can detect a blood-filled mosquito and prefer it to an unfed one. It was recorded that sometime in Kenya, a group of jumping spiders attacked humans, leaving two dead from their venomous stings! These specie of spiders are mainly from Kenya and Uganda. 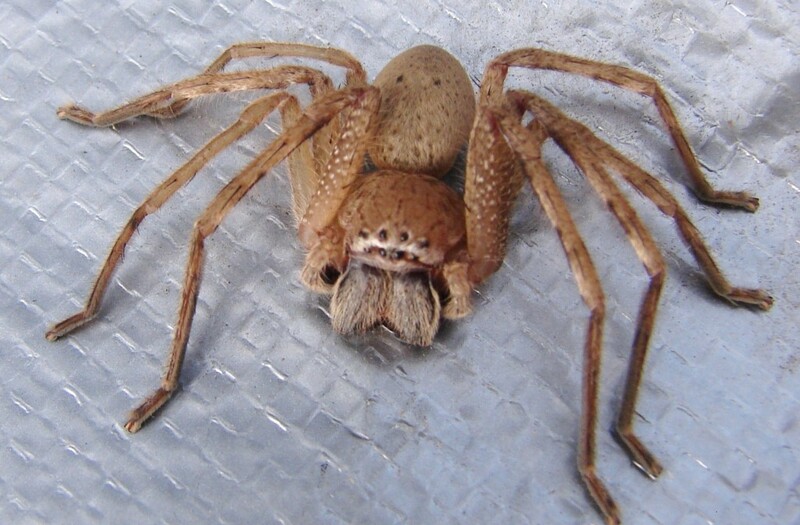 The huntsman spider is brown, enormous and generally terrifying. They are known as huntsman spiders because of their speed and mode of hunting, but they are quite harmless. They also are called giant crab spiders because of their size and appearance. Their legs are hairy and can span more than 3 inches. The females could get very aggressive while defending their eggs. Be on the lookout! Huntsman spiders hunt at night and sleep during the day and their flattened abdomens allow them to fit into narrow cracks and crevices for rest and protection. 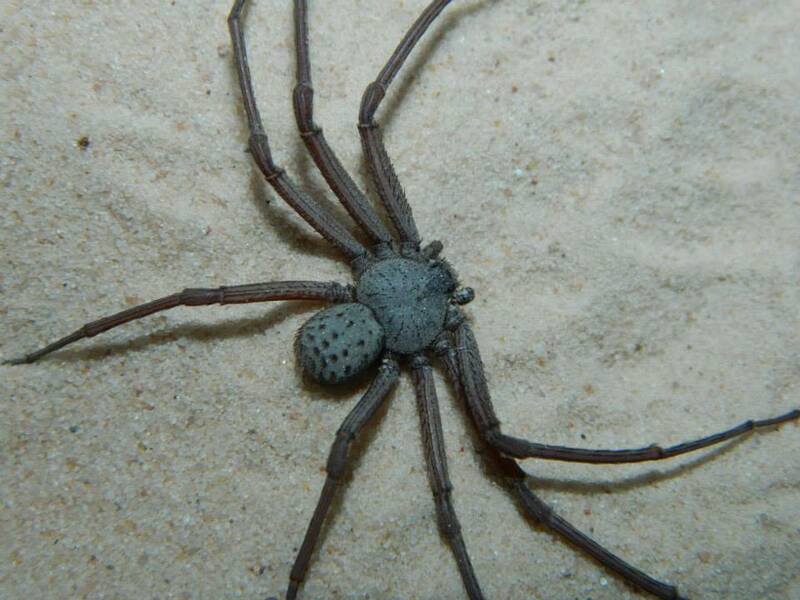 They’re called Rain Spiders in Southern Africa because they tend to be more active just before and after it rains and are fond of crawling into people’s home this period. The name ‘button’ spider is derived from the shape of her abdomen, which is button-like. 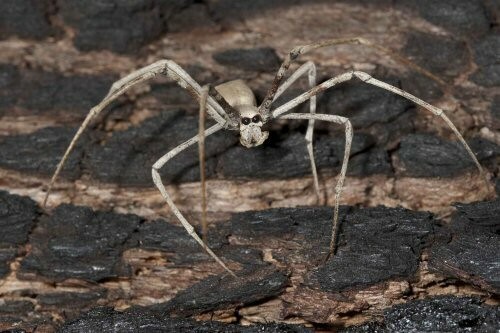 This particular spider has different species existing in different parts of the African continent. Their bites are particularly known to be venomous, having the ability to kill a child and seriously harm an adult. The female ones are also called widow spiders because of their bizarre practice of killing their mate once they’re done with him!